The National Fire Protection Association (NFPA) recently released a video to illustrate just how dangerous and how flammable dry Christmas trees can be. This video is to urge residents to properly care for their trees to avoid a Christmas tree accident in Massachusetts and elsewhere. Every year, Christmas trees catch fire just because they’re not watered regularly. There are simple steps that we can all take to help prevent a potentially serious holiday accident. From 2005 to 2009, fire departments across the U.S. respond to nearly 250 home fires each year that started with Christmas trees. These incidents kill an average 15 people, injure nearly 30 more and cause roughly $17 million in property damage every year. Our Boston personal injury attorneys understand that these incidents may not be one of the most common, but they can be one of the most serious. 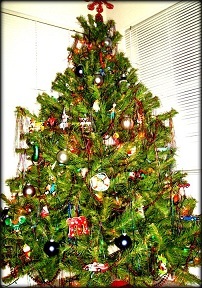 In about one out of every 18 incidents reported in which a Christmas tree caught fire, a death occurred. A heat source that is too close to a Christmas tree was reported as the cause in approximately 20 percent of these fiery accidents. Nearly 20 percent of home fires resulting from Christmas tree were intentionally set. About half of the Christmas tree fires that were intentional happened in the month of January and are believed to be related to the disposal process. -About a third of fires happen because of electrical problems. -About 20 percent result from a heat source being too close to a Christmas tree. -Nearly 15 percent of the fires are caused by decorative lights. -More than 10 percent of Christmas tree fires are caused by candles. -About 40 percent of these fires begin in a home’s living room, den or family room. -Nearly 20 percent of these fires are set intentionally. When do these accidents happen? -Half of them, to no surprise, happen in December. -A third of them start in January. -Nearly 20 percent happen in November or February. -If you choose to have an artificial tree, make sure that it’s labeled, identified and certified by the manufacturing company as flame retardant. -If you’re purchasing a real tree, make sure to choose one that is fresh and has green needles that don’t fall off when you touch them. -Before putting your tree in the stand, cut an inch or two from the base of the trunk. -Make sure it’s placed somewhere that’s at least 3 feet from any heat source. -Make sure it’s not blocking an exit. -Water you tree, placing water in the stand, daily. -Use tree lights that are labeled by an independent testing laboratory. -Replace any string of lights that have loose bulb connections or have broken cords. -You should never connect more than 3 strands of lights. -Never use candles to decorate a Christmas tree. -Remember to always turn off the tree’s lights and blow out candles before leaving your home or going to bed. If you, a family member of someone you love have been injured in an accident in Massachusetts, contact the personal injury lawyers at the Law Offices of Jeffrey S. Glassman, LLC for a free consultation to discuss your claim. Call 1-877-617-5333.